Further clashes have broken out in central Nigeria between armed Christian and Muslim groups near the city of Jos. Buildings were set ablaze and people were seen running for cover as the army arrived on the scene. 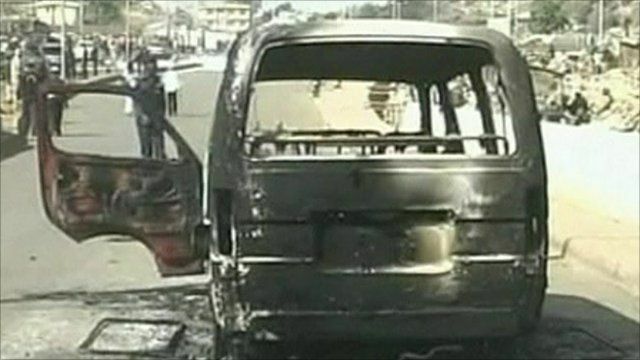 The unrest comes a day after 32 were killed in a series of explosions in the region.